We are convinced of the opportunities and the necessity of a digitized future. Stable industry computer solutions that are available long-term are the heart and drive of this digitization. Together with you – our partners – we develop and produce your embedded system future individually and custom-fit. 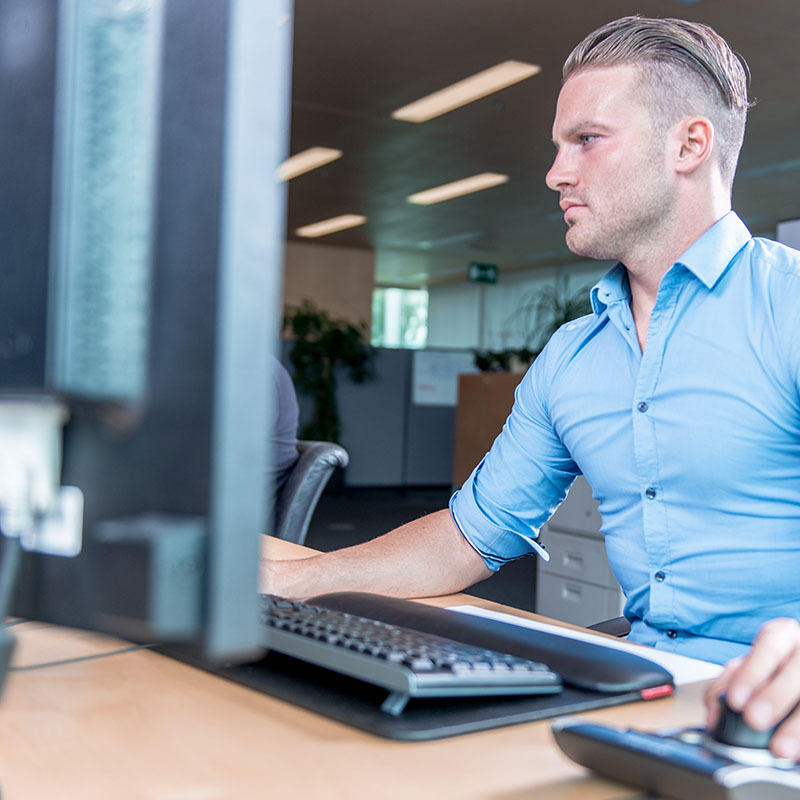 Our embedded-computing-platform makes it possible to consider your personal project-based needs in an uncomplicated and flexible way, and at the same time optimize your product’s time-to-market. 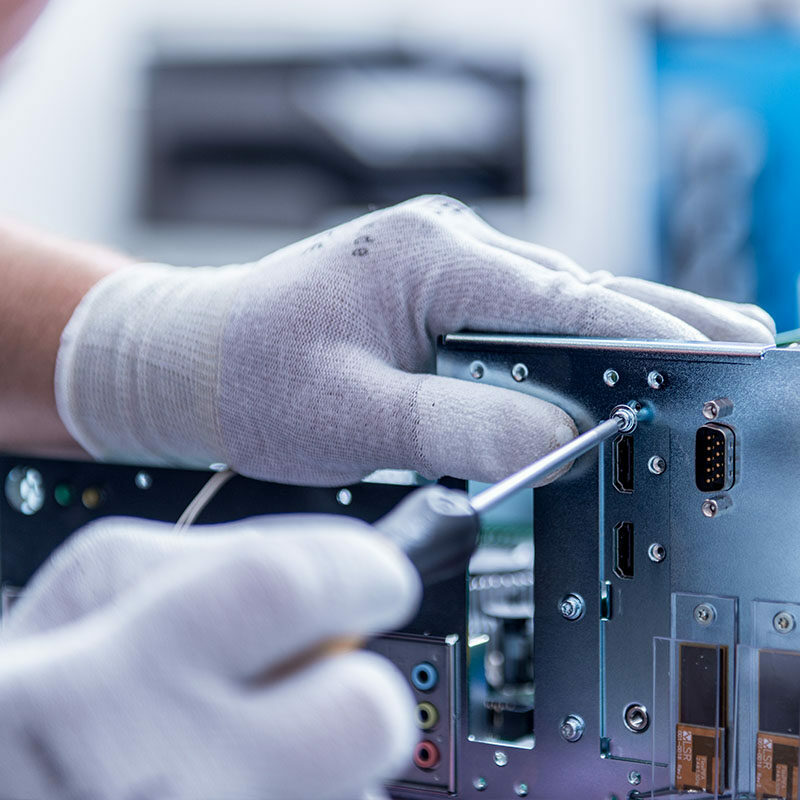 Our individually tailored customized embedded computing solutions, starting from small cap rail computers up to 19” full-customized-systems, form the digital brain of your end products reliably and in the long term. Within our conception stage your needs, your end product and corresponding approaches are in the focus of our attention. We take the time to get to know you, your requirements and your individual specific challenge. To design a suitable embedded-system-solution with accurately fitting performance and design, we look at the field of application through your eyes, respectively the eyes of your end customer. Thanks to our embedded platforms and our expertise we are able to supply thorough concepts including corresponding pricing simply, quickly, cost-opimized and time-to-market-oriented, for further discussions. The transfer of entire product concepts – or alternatively your specifications – follows in our development stage. Our iPC standard products as well as our embedded computing platforms make it possible to supply our partners with prototypes or functional samples in a rapid and uncomplicated manner. Besides the conceptional work, our experience and know-how leaves its mark on the following cooperative and agile development process. Next to classic construction work, system design and suitable testing procedures (e.g. temperature tests, EMV, electric safety, noise emission, and more) we focus on staying flexible for possible changes and challenges that might occur. We consider a focus on the cost-value ratio as fundamental developing industrial computers. All systems are developed conform to international standards (incl. development documentation), to make registrations and certifications on our partner’s side easy, helping to reduce their operating expense. 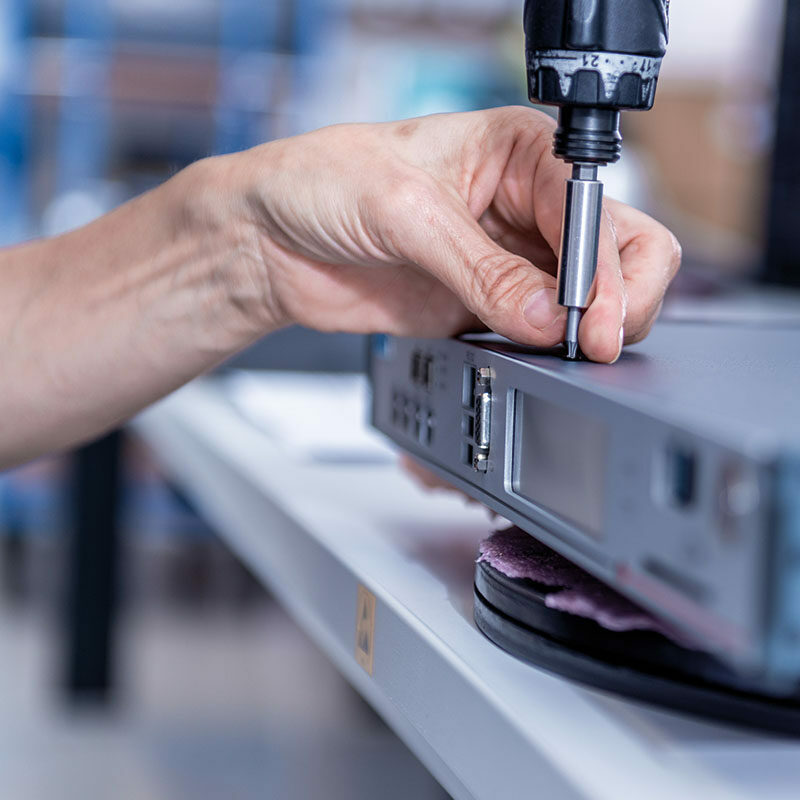 Last but not least, our system development includes appropriate packaging design (optical design, drop test for shipments, dimensional weight improvement, and more). Our partners benefit from our in-house design transfer and thereby fastest possible know-how transitions between development and series production as well as testing. We produce your iPC solutions, starting with small batch series up to large industrial series, reliably, flexibly and on schedule. Besides professional production services on highest European standard (modern processing, secured ESD areas, closed network), we test your systems according to all common standards (high voltage tests, grounding tests, pressure tests, run-in & burn-in tests, stress tests). Thanks to our flexible production processes we are also able to produce small batches on short-term or implement customer individual testing requirements. We consider your customer’s satisfaction as a part of our common success. That is why we offer several logistic services to ideally serve your different end customer markets. Logistic services like consignment stocks, buffer storage and individual kanban concepts support the steerage of our production processes. Another service we offer is the organization and optimization of worldwide shipping, incl. the choice of suitable dispatch routes and partners. Support to its full extent does not end with production. Throughout the complete product life cycle we inform and support our partners during part or component changes within their products. We monitor product upgrades and end-of-life-components proactively via EOL-tracking of all parts on individually fixed part lists. Service and support are the foundation of any cooperative collaboration. We set great value on open and trustful communication and develop custom service and support systems for our partners. Aside from our simple to use and effective RMA system we offer instant guidance, processing and for example optional exchange stocks for critical products and time-critical applications.